I saw this pattern in a bathroom in Ireland and snap a photo. 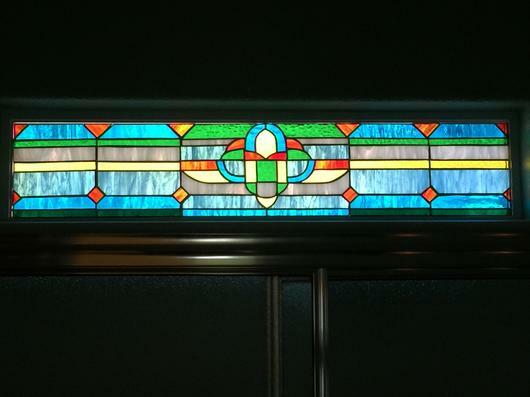 Years later, I have used a modified version of the pattern to fit into a bathroom window above the tub area in my home. 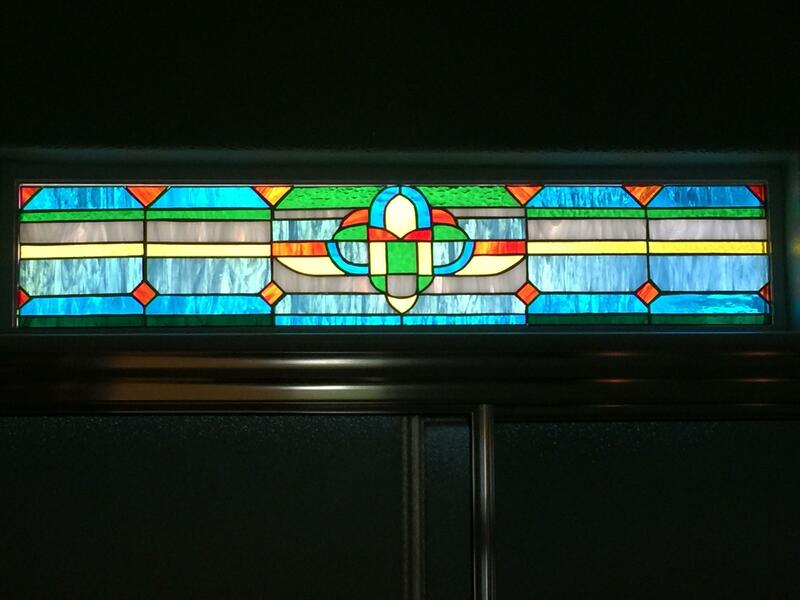 This is stained glass using copper foil and sodder. 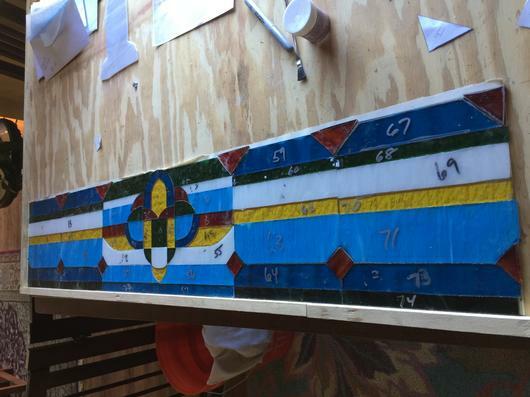 ~ 46" x 18"